I’ve been using Amazon’s tablet Kindle Fire from past few weeks and would like to share some information regarding the same. Most Kindle Fire devices employ a 1 GHz Texas Instruments OMAP 4430 dual-core processor. The display is a 7 inches (180 mm) multi-touch color screen with a 600×1024 pixel resolution. Connectivity is through 802.11n Wi-Fi and USB 2.0 (Micro-B connector). The device includes 8 GB of internal storage — said to be enough for 80 applications, plus either 10 movies or 800 songs or 6,000 books. According to Amazon’s list of technical details, the Kindle Fire’s 4400 mAh battery sustains up to 8 hours of consecutive reading and up to 7.5 hours of video playback with wireless off. Of the 8GB internal storage, approximately 6.5GB is available for content. Cloud‘s web-storage platform, 5GB Music storage in Amazon Cloud Drive, and a built-in email application allows webmail (Gmail, Yahoo!, Hotmail, AOL Mail, etc.) to be merged into one inbox. The subscription-based Amazon Prime, which includes unlimited streaming of movies and TV shows, is available with a free trial period. 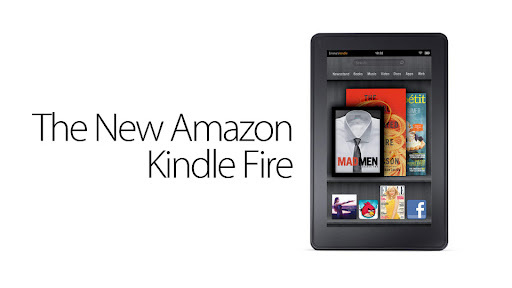 The current version of the Kindle Fire OS as of May 3, 2012 is 6.3.1_user_4107720. Content formats supported are Kindle Format 8 (KF8), Kindle Mobi (.azw), TXT, PDF, unrestricted MOBI, PRC natively, Audible (Audible Enhanced (AA, AAX)), DOC, DOCX, JPEG, GIF, PNG, BMP, non-DRM AAC, MP3, MIDI, OGG, WAV, MP4, VP8. take more than three minutes.